The first video (five minutes), put together by the African Attachment, was for episode two of Salomon Running's 2012 series. The idea is to demonstrate the "community spirit" side of the sport. It's not all about running, and not all about winning. The week in La Palma was a get together of some (most?) of the world's best utlra trail runners, and whilst the race itself was super competitive, the rest of the time was totally chilled, jumping in the sea, dossing about in a posh hotel in the middle of nowhere at the bottom of the island of La Palma, teaching the Americans how to drink beer quickly in a strict routine of hand features and peotic speech (you know colonel muff right?!)... This top quality film, largely based on the our time on the island "through my eyes" totally captures this "spirit" of trail running. Nice work TAA! This second (twenty minute) film is the official transvulcania race film. It captures the event from start to finish. Great views and cracking footpaths, and check out the atmosphere at the finish - the entire population of the island cheering us down the finish straight. The following interview text is for a Spanish magazine, hence the interest in Spain and La Palma. It also includes a bit of detail on how the TransVulcania race panned out and my experience of that long 'un. 2nd at Transvulcania!! That is a great performance, isn’t it? yes, honestly I'm really happy with a second place in this race. You're never going to be celebrating the race of your life when you pass so close to a win, but in reality to finish just 90 seconds behind Dakota after 7 hours of racing is a good result. Was the podium one of your goals? For sure. I went into this racing knowing that my form was pretty good and that if things went to plan then I should be aiming for a podium finish. That said, it's hard to pre judge in a race with so many competitors against whom I've never raced before. I'm mainly referring to the Americans there, they were an unknown quantity for me going into the TransVulcania. What do you think about the race track? Nice! The highlight is running along and around the crest of the volcanic skyline. There's no doubt that it helps me to perform at my best if there's a nice path and a good view - both ingredients were there for this course. The 2500m downhill is tough, but that's good. I suffered and didn't particularly enjoy the 6km uphill finish, but that's part of the killer nature of this route. You reached Kilian and Dakota at the descent. Was it one of the keys? I really ran my own race. I followed Kilian and Dakota along the top, yo-yo-ing about a minute or two behind them. I wasn't in a rush to catch them as I always felt that they would probably come back to me on the downhill, provided my legs were still in tack. They were, and a I did catch them, but shortly after overtaking them my legs changed their idea about their state of freshness and it suddenly became quite difficult to keep the pace up. I think I got it about right, as my legs exploded before the finish, but not too much before. I'd have needed to be a bit stronger to have put a proper fight up against Dakota over those final few miles. I still have progress to make over this distance, for sure. How do you work the downhill (training)? I don't. I simply enjoy running down hills. If I'm more at ease doing so than some other runners, then it's probably largely down to being used to the rough nature of uk 'fell running' where kamikaze descents are of the norm! There were high temperatures at La Palma. How did you struggle with it? Yes it was warm on La Palma, but I really didn't find it too hot at all. Most of the race was at 2000m or above and there was a bit of a breeze. It was hot enough to mean that hydration was important, but it really wasn't anything too out of the ordinary. That said, I am probably more used to running in warm weather, as I now live in the south of France. I do like the sun! How was your feeding-drinking routine during the race? I used two 250ml bottles in a bumbag which I re-filled with water and energy and hydration drink en route. Food-wise, mainly gels and "pâtes de fruits", about ten in total. I generally base myself on eating something solid every 40 minutes or so, depending on how big it is. Porridge three hours before the start is another crucial part of setting myself up for the race energy-wise. That's what happens when you live in Scotland for five years! I think I drank about 1.5l over the course of the race, which was about right for me. Eating and drinking for long races is a very individual thing though - the more you sweat the more you must drink, and the more you must be careful with your salt levels. You made a best time than last year’s record. Did you expect it? I did expect the times to be faster this year, and that the race record would probably go, but Miguel is one heck of an athlete, so no I would never have expected to run thirty minutes faster than his time from last year myself. It just shows what happens when you pull together a quality field of runners for a big race like this. Did you have any “bad” moment during the race? Just the last few kilometres, but even then it wasn't too bad. I was just starting to get pretty tired. The crowd helped pull me home though! What do you think about La Palma as a trail running destiny? Great. Yes, it's a small island, but there's plenty to see. You have to be a fan of going uphill for a long way though! Which I am. What are going to be your next races? I'm off to Guadeloupe in a couple of weeks to again race on another volcano. That's another long race, but the conditions will be very different. 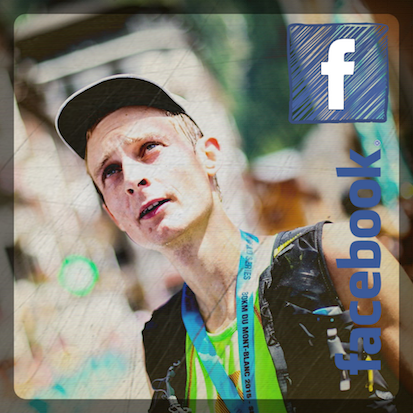 After that, I'll be concentrating in the French National Cup series as well as the next Sky ultramarathon races. I'm particularly looking forward to Kima in August. It would be nice if the American crowd, as well as all the top euro runners returned for that one. Are you coming back to Spain soon? No plans to return to spain immediately. But I do always have a good time racing in Spain, so if I'm not back again this year, I almost certainly will be in 2013.